SAN FRANCISCO (CN) — In a win for California’s Bishop Paiute Tribe, the Ninth Circuit on Wednesday reversed and remanded the tribe’s lawsuit against Inyo County, over powers Indian police have over non-Indians on tribal land. The Bishop Paiute Tribe, in the upper Owens Valley above Bishop, sued Inyo County, its Sheriff William Lutze and District Attorney Thomas Hardy in March 2015. Lutze and Hardy had arrested and prosecuted Paiute police Officer Daniel Johnson for trying to enforce a restraining order against a non-Indian on the reservation. Johnson had received a call from a tribal member on the reservation who said that his non-Indian ex-wife was violating a tribal and state domestic violence protective order by being at his home and causing a disturbance. Johnson Tasered the woman at the tribal member’s home, wrestled her to the ground and injured her. Two weeks later, Hardy charged Johnson with assault with a stun gun, false imprisonment, impersonating a public officer and battery. The charge of impersonating a public officer was dropped when a court found that Johnson was acting as a tribal police officer. Lutze also issued a cease-and-desist order instructing tribal police officers not to enforce state laws or to carry firearms off the reservation. Inyo County says tribal police have no authority to enforce state or federal laws on or off tribal land. The tribe maintains that it has “inherent tribal authority” to enforce the law over Indians and non-Indians on its reservation. It sought a court order barring the sheriff’s office from arresting and prosecuting its police officers for carrying out their duties, and a declaration that the officers have the power to investigate violations of tribal, state, and federal law, and to detain and transport a non-Indian violator to state law enforcement authorities. Senior U.S. District Judge Garland Burrell dismissed the tribe’s complaint in July 2015, citing the tribe’s agreement not to enforce state laws in response to Lutze’s cease-and-desist order. Burrell found that due to the tribe’s response, there was no longer a dispute to be litigated. Reversing and remanding Wednesday, Ninth Circuit Judge Mary Murguia wrote for the unanimous panel that the tribe had adequately pleaded a federal question that gave the trial court subject matter jurisdiction when it claimed Johnson’s arrest violated federal common law, and that federal common law grants the tribe authority to conduct law enforcement on its land. Murguia called “unpersuasive” the defendants’ argument on appeal that the tribe had failed to identify which laws gave the lower court jurisdiction. “Defendants’ assertion is simply wrong,” Murguia wrote, citing four provisions of Title 28 of the U.S. Code that the tribe argued gave the district court jurisdiction. The tribe’s attorney Dorothy Alther said the Bishop Paiute are pleased by the ruling. Joined by Chief Ninth Circuit Judge Sidney Thomas and U.S. District Judge Michael Baylson from the Eastern District of Pennsylvania, Murguia also sided with the tribe by finding Burrell had dismissed the case for mootness by improperly concluding that the tribe had agreed to comply with Lutze’s cease-and-desist order; and for lack of ripeness by improperly concluding that it had brought a “pre-enforcement challenge” to a law without evidence of a plan to violate the law. The tribe argued that Burrell dismissed for lack of ripeness by improperly concluding that it had brought a “pre-enforcement challenge” to a law without presenting evidence of a plan to violate the law. “We agree with the tribe on all counts,” Murguia wrote, finding that Johnson’s arrest and ongoing prosecution, and the cease-and-desist order threatening additional prosecutions, demonstrate that the threat to the tribe’s interest is imminent and real. “Withholding the court’s consideration and resolution of these disputes creates multiple hardships for the tribe, including ongoing legal costs, intrusions on the tribe’s ability to keep the peace and security of the reservation, misunderstanding and confusion surrounding the ability of the tribe and tribal PD to enforce tribal laws and prevent lawlessness on the reservation, and potentially an unlawful limitation on the tribe’s inherent sovereign powers,” Murguia wrote. Inyo County was represented by John Kirby of San Diego, who did not respond to phone and email requests for comment Wednesday. Alther is with California Indian Legal Services in Escondido. About 90 percent of the Bishop Paiute tribe live on the 877-acre reservation in the alluvial plain east of the Sierra Nevadas. 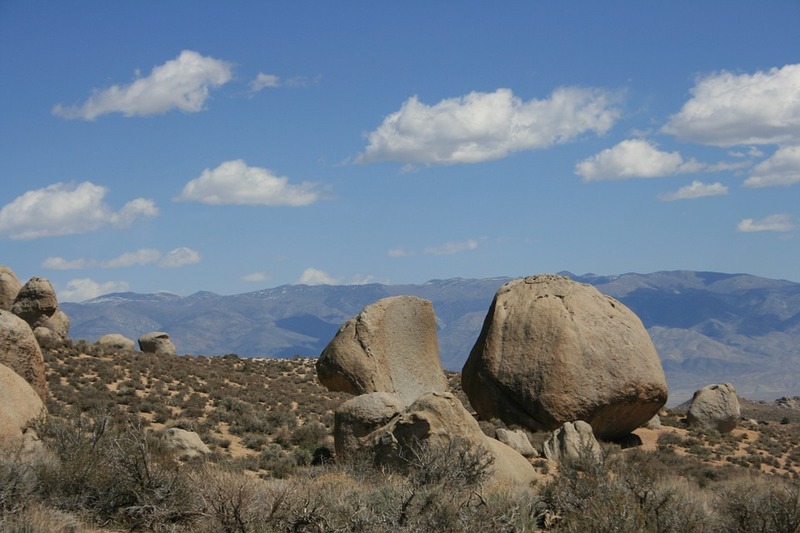 The reservation was 67,000 acres when Congress established it in 1912, but President Herbert Hoover cut it down to 877 acres by executive order in 1932, in the famous Owens Valley land grab to secure water for Los Angeles. Paiute is in the Shoshone language, in which “pa” means water — indicating the condition of the Bishop Paiute’s land before the land grab.